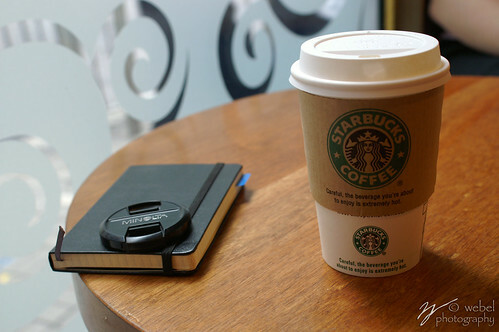 Today is a Starbucks day… Yep. Brand Dependency at its best. I have been in the branding field for years and have worked with some of the biggest retailers and brands in the world to drive loyalty, advocacy and brand dependency through clever brand strategies and targeted design… I have somewhere in the region of 150 loyalty cards from all around the world that have been mostly collected for work. In the past few months though I have noticed that consumers are moving away from brand monogamy… most of the shoppers I have worked with or created brands for have little interest in loyalty… I would describe it more as Actively Disloyal. They prefer to rebel against the plastic card in their wallet when something new and shinier comes along – and I do not blame them. Brands have to deliver on an emotive connection and not just on 10% off-style ‘rewards’ – I for example do not even register discounts until I see a minimum of 30% off, what’s £1 in every £10 worth when you are spending £9 to save £1? Something that is emerging however is a trend of consumers’ Brand Dependency – they will have a plethora of ‘loyalty’ cards in their wallets or purses but they will only actually use a couple that they depend on. Those that have made that emotional connection. The ones that truly reward you for your custom and make you feel special. The ones you look at in your wallet and think ‘when I’m finished here I’m going to go out of my way and head over to x’. I mentioned that I have around 150 loyalty cards… in truth I only use two of them, my Brand Dependency as it were, the Benito’s Hat burrito addiction and my Gregory’s Coffee NYC one as I love the coffee (and the name, naturally) – the others are actually in a box at home collecting dust (wonder if they are collecting points also? Probably not). This also rings true in the online space… there are tonnes of new sites and new services and new apps being launched every single day but, once the hype goes away, which ones to we actually use? The few that we truly depend on – Strat-Talking, Harvard Business Review, Twitter, eBay and LinkedIn in my case… the others fade into the background or provide me with a once-daily view to catch up on the latest news… although I have streamlined this so that everything is fed right into my screen and my phone by Twitter – easy. So in summary I think that brands really need to take stock, think about what will truly matter to the people they are targeting and how to subtly drive Brand Dependency. Previous: Battle of the Christmas ads 2013 – is this the UK’s Superbowl?